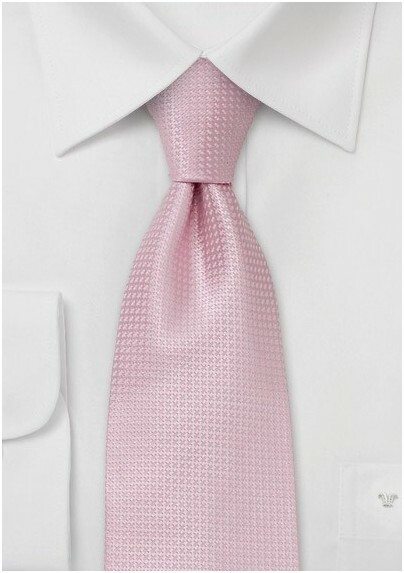 Liven up your wardrobe with this stunning pink tie. 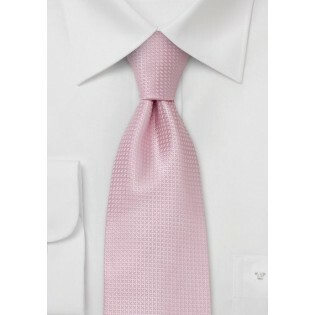 The pink is accented by a fine cross pattern, giving it a simple and sophisticated texture. This tie is made from 100% silk. We suggest pairing this tie with a check patterned dress shirt, well tailored navy suit and tan oxford wingtips. This tie is sure to add flair, color and style to any ensemble.